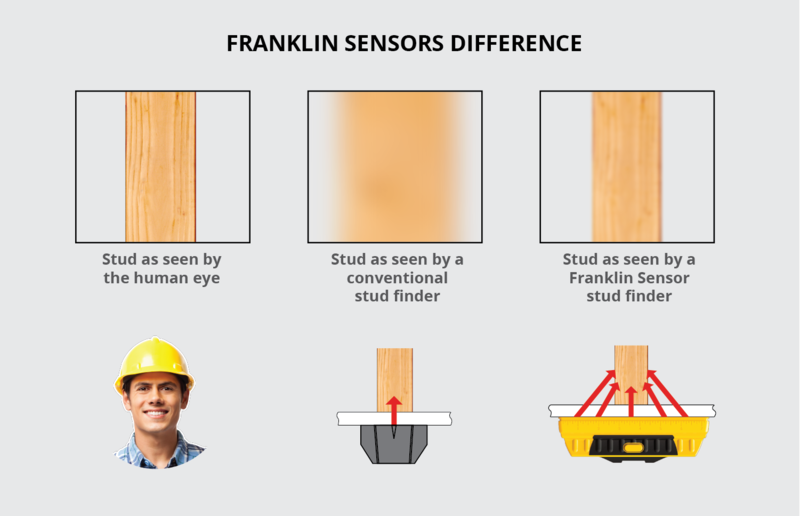 What makes our sensors more accurate? Our patented Multi-Sense Technology. 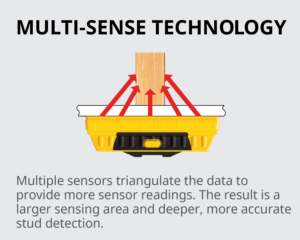 Conventional stud finders have one or two sensors, whereas our sensors have a range of 6 to a whopping 13 sensors! 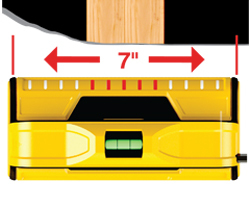 In the diagram below you’ll see that by only having one or two sensors, the “image” a sensor reads though a wall is unclear and blurry. 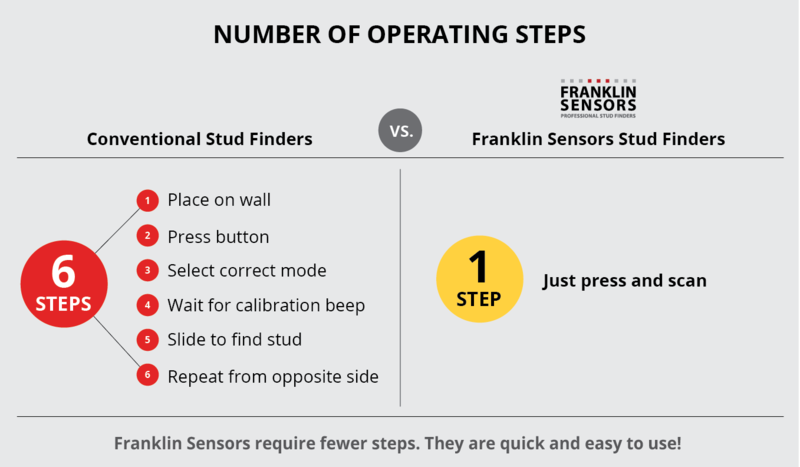 This is why you get inaccurate readings from conventional stud finders.